With the accession of the post-Communist countries to the EU in 2004, the legacy of Communism became an integral part of common European heritage. For the 10 new member states, the EU accession opened a new level on which to address the insufficient coming to terms with the totalitarian past in Central and Eastern Europe. On 8 April, 2008, the Slovenian EU Presidency together with the European Commission organised a European public hearing in Brussels “Crimes committed by Totalitarian Regimes“. The participants called for a number of steps necessary in order to deal with the crimes of Communism, including the establishment of a Foundation which would promote public awareness at the EU level, develop cultual and educational projects and notably provide support to networking of national research institutions specialised in the subject of totalitarian experience, provide support for the European and national research and educational projects. On 2-3 June, 2008, an international conference “European Conscience and Communism“ was hosted in the Senate, Parliament of the Czech Republic. It was organised by Senator Martin Mejstřík in cooperation with Jana Hybášková, Member of the European Parliament. At this conference, the Prague Declaration was adopted which in 19 points calls for a pan-European and international coming to terms with Communist totalitarian rule. 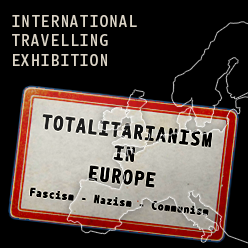 One of the demands of the Prague Declaration is the establishment of an Institute of European Memory and Conscience which would be both – A) a European research institute for totalitarianism studies, developing scientific and educational projects and providing support to networking of national research institutes specialising in the subject of totalitarian experience, B) and a pan-European museum/memorial of victims of all totalitarian regimes, with an aim to memorialise victims of these regimes and raise awareness of the crimes committed by them. On the eve of the Czech EU Presidency, the Institute for the Study of Totalitarian Regimes in cooperation with 1st Deputy Prime Minister for European Affairs Alexandr Vondra addressed all EU member states with an invitation to a joint establishment of a Platform of European Memory and Conscience. A working meeting took place on 10-11 November 2008 in Prague. Representatives of 19 states and 12 partner institutions decided to form a working group on the Platform of European Memory and Conscience which is being coordinated by the Institute for the Study of Totalitarian Regimes and counts today about 35 institutions and organisations from 19 European countries. In the meantime, the Prague Declaration was joined by several dozen Members of the European Parliament. An informal working group was established in the European Parliament, called “Reconciliation of European Histories“. The group is led by former Latvian EU Commissioner and Minister of Foreign Affairs Sandra Kalniete. Its members come from 16 states and all political groups of the European Parliament except the GUE/NGL. The Working group on the Platform of European Memory and Conscience cooperates closely with the group of Ms Kalniete. During the Czech EU Presidency, on 18 March, 2009, the Institute for the Study of Totalitarian Regimes together with the Office of the Government and the office of Jana Hybášková, MEP organised a public hearing in the European Parliament called “European Conscience and Crimes of Totalitarian Communism: 20 Years After.“ In the final document, the participants repeated the call for the creation of a Platform of European Memory and Conscience. The Prague Declaration and the conclusions from this hearing served as the basis for the historically first resolution of the European Parliament dealing with coming to terms with the Communist dictatorship, namely the resolution “On European Conscience and Totalitarianism“ of 2 April, 2009 which was adopted by 553:44:33 votes and which endorsed the call for the foundation of a Platform of European Memory and Conscience. In its conclusions of 15 June, 2009, the General Affairs and External Relations Council of the EU (GAERC) welcomed the initiative to establish the Platform of European Memory and Conscience and requested the Commission to provide financial instruments for this work. On 24-26 February, 2010, the Working group on the Platform of European Memory and Conscience organised an international conference “Crimes of the Communist Regimes“ which took place in the Senate, Parliament of the Czech Republic and at the Office of the Government of the Czech Republic under the auspices of Prime Minister Jan Fischer, the Deputy Presidents of the Chamber of Deputies and the Senate and several Members of the European Parliament. At the conference, a Declaration on Crimes of Communism was adopted. In its Report to the Parliament and the Council of 22 December, 2010 on “The memory of the crimes committed by totalitarian regimes in Europe“, the European Commission presents the Platform of European Memory and Conscience in Chapter 3.3. as one of the initiatives in the field at EU level. In the Council Conclusions of 9-10 June, 2011 on the memory of crimes committed by totalitarian regimes in Europe, the Council of the EU invited all interested parties to make full use of existing EU programmes to establish a Platform of European Memory and Conscience to provide support for current and future networking cooperation among national research institutes specializing in the subject of totalitarian history. 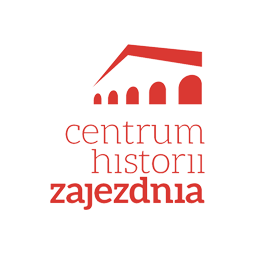 The International Visegrad Fund kindly provided a grant to support the work of the Platform of European Memory and Conscience for the years 2011-2014. The official foundation of the Platform of European Memory and Conscience is planned for October, 2011.